From Central Asia, an evangelical missionary asks a Western parachurch agency for help. His problem: Whenever a Muslim converts to Christ, he or she is immediately set upon by Jehovah’s Witnesses bent on indoctrinating the new believer. From Moscow another believer writes: “We have lots of sects with cultic tendencies in our region. Could you please help us with materials about those destructive cults? How to fight them, what to do?. . .Help us, for Christ’s sake!” When most people think about missions, they usually don’t think about cults. That may soon change. Today, the Church of Scientology recruits foreign missionaries in glossy, full-color magazines and boasts that its fastest growth is taking place in Hungary and Russia. A convention of “Bible Students” (Watchtower splinter groups) draws nearly a thousand delegates from across Eastern Europe. Latin Americans dabble with the teachings of increasingly popular Japanese sects like Seicho-no-Ie and Mahikari. Disciples of the deceased prophet William Branham produce millions of tracts, pamphlets, and cassettes in languages ranging from Lithuanian to Swahili. Around the world, cults and controversial new religions are multiplying as they gain cross-cultural sophistication, increase their missionary forces, and step up their translation capabilities. They appear at disaster sites to distribute relief supplies and counsel refugees, and they’re going toe-to-toe with evangelical missionaries in the most unexpected places. Their proliferation points to the need for greater awareness among missions strategists and a wider, more effective response on the field. Of course, Christians regard cultic movements as a danger to the life and outreach of the church because the New Testament says they are. In apostolic times the Body of Christ was faced with cultists and divisive teachers, and the epistles give repeated warnings about deadly spiritual impostors. In Jude 3–4 we are exhorted to “contend earnestly” for “the faith once for all delivered to the saints” because that faith has sworn enemies. In Acts 20:28–31, the apostle Paul warns the elders of Ephesus that such enemies of the gospel appear from both outside the church (“savage wolves will come in among you, not sparing the flock”) and from within (“from among your own selves men will arise, speaking perverse things, to draw away the disciples after them”). In 2 Corinthians Paul makes it painfully clear how very vulnerable the church was to error (11:3–4,13–15), and in his second epistle Peter spares no words in warning his readers about the threat of false teachers in their midst, calling them to “be on your guard” (2:1–22, 3:15–17). Cults lost no time in entering the former Soviet Union, where Jehovah’s Witnesses grew at the amazing rate of about 30 percent per year between 1991 and 1997. The Witnesses already boast of being the “fifth-largest Christian group in Russia,” and the damage from the cult’s efforts extends well beyond its own membership: Jehovah’s Witnesses distribute nearly 5,000 tons of literature per year in Russia alone—material which undermines trust in the Trinity, the biblical Jesus, and a host of core Christian doctrines, thus inoculating untold numbers of people against the gospel message, even if they don’t fully commit to joining the sect. The Mormon Church has found especially fertile soil in Latin America. After English, the languages spoken most widely among Mormons are Spanish and Portuguese, with over 3.5 million combined. Half of the cult’s 18 Missionary Training Centers are in the region. And in Africa—largely off-limits to Mormon missionaries until 1978 because of their church’s racist policies—the “Latter-day Saints” are actively proselytizing in 26 nations, and some half a million Mormons worldwide are of African descent. In some countries, cults are coming close to achieving a sort of dominance. For example, in the island nation of Tonga, one-third of the population is Mormon (as are a quarter of the population of both American and Western Samoa). In Spain there are nearly as many active Jehovah’s Witnesses as Protestant church members, and in Poland the Witnesses outnumber evangelicals outright. Long-term trends are not promising: Realistic projections by secular sociologists like the University of Washington’s Rodney Stark estimate there will be more than 260 million Mormons and 195 million active Jehovah’s Witnesses worldwide before the end of the century. Two keys to cult expansion are a commitment to mobilization and translation. The Mormon Church spends an estimated $770 million per year on its missions program and currently fields some 60,000 full-time missionaries in 160 nations who proselytize almost exclusively. At its current rate of expansion, this work force will increase to 110,000 by the year 2015. 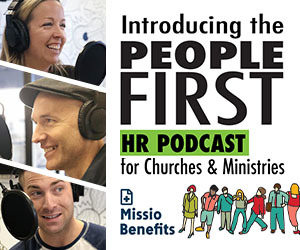 In comparison, the MARC 1998–2000 Mission Handbook reports that 825 U.S. and Canadian Protestant agencies combined are fielding only about 40,000 career and short-term (one to four years) missionaries of all kinds. But today’s cult problem is not limited to U.S.-based multinationals. Some cultic movements, like the Philippines-based Iglesia ni Cristo and Mexico’s Luz del Mundo, draw their adherents mainly from distinct ethnic and national groups scattered around the world. Others, like the Bahá’í faith, actively seek to erase cultural boundaries, while loose-knit spiritist movements like Umbanda adapt to local cultures. Beyond the consequences of the sheer numerical growth of cultic movements is, of course, the damage done in human lives as cultic groups split congregations and divide families, sowing confusion and heartache while replacing hope in Christ with empty substitutes for salvation. Answering the call. For a variety of reasons, the response of missionaries and nationals in the developing world has not been proportional to the challenge. Evangelicals need to see cult proselytizers not merely as unwanted “competition,” but as a growing mission field in their own right. • Roger DeLozier was a successful computer programmer in Maryland when he answered the call of God to help pastors in the former Soviet Union deal with the burgeoning problem of cults. In May, 1998, he joined the team of the Center for Apologetics Research in St. Petersburg, Russia. • Joel Groat, research associate at Gospel Truths Ministries in Grand Rapids, realized that his Spanish-language skills could be used to help Christians in Latin America. Now he is leading nationals and short-term missionaries in evangelistic outreaches to Mormon temple dedication events in Ecuador, Bolivia, and the Dominican Republic. What strategies can help evangelicals to counter the advance of cults on a broad scale? • Pastoral training should include practical instruction about how to protect congregations from the methods and message of cultic groups. • Organizations which emphasize evangelism and discipleship should take special care to specifically inoculate new converts and young believers against cult recruitment. • Western missionaries with experience in cult-related research and outreach are especially needed in developing nations and in cultures newly exposed to cult influences—as are specialized organizations to monitor and respond to such groups locally. One promising development is a gradual increase in the variety and availability of non-English language resources for both evangelism and warning potential cult converts. Using his computer skills, Roger DeLozier has set up an extensive Russian-language web site of camera-ready tracts and pamphlets on cults and apologetics (http://www.Apol Research.org) and is developing a Ukrainian-language counterpart. Joel Groat and Gospel Truths Ministries produce high-quality literature on Jehovah’s Witnesses and Mormonism in Albanian, Chinese, Estonian, French, Greek, Hungarian, Korean, Portuguese, Romanian, Russian, Spanish, and Tagalog, much of which is available online at their Web site (http://www.irr.org). Finally, because the battle is a spiritual one, intercessors need to make cult prevention and evangelism part of their global prayer priorities (Eph. 6:12, 18). By God’s grace, followers of counterfeit gospels can be set free to walk with Christ. EMQ, Vol. 36, No. 2, pp. 184-187. Copyright © 2000 Evangelism and Missions Information Service (EMIS). All rights reserved. Not to be reproduced or copied in any form without written permission from EMIS.